Preparation of Baby for the Shoot is vital to achieve the best results! Because the time frame is very limited and in order to make the most of the time these are the suggestions I make for preparing your baby to achieve the best results. Ideally I need baby to sleep throughout most of the 2-4 hours in the studio to achieve this. This Preparation is even more vital for babies coming in for the Basic Newborn Shoot as time is even more limited here. Try to keep baby awake for an hour or 2 before the shoot. A bath is often helpful as this can be used to keep baby awake…..and it tires them and settles them into a deeper sleep. Dress baby in a babygro with poppers from feet to neck so that it is easy to remove from a sleeping baby. DON’T PUT A VEST ON BABY. A vest is more difficult to remove over baby’s head with more chance of waking baby. Rather use blankets on top of baby to keep baby warm on the journey to me. A favourite blanket can often double as a prop in your shoot. Baby will be photographed naked but I will pose them so that all their important bits are not on show! Feed baby just before leaving for the shoot so that baby has a nice full tummy before going to sleep in the car…….hopefully! If they do wake on arrival we can always give them a little top up feed. Please bring a Dummy to the shoot…….EVEN IF BABY HAS NEVER TAKEN ONE. It is very useful to settle a restless baby and the short time in the studio would not be long enough for baby to form any attachment to it if it is not something you wish to continue using. Please bring nappies and if bottle feeding, bottles with more milk than you think baby will drink. It will be very warm in the studio and baby’s do often get thirsty and drink more. We will stop to feed and settle baby whenever needed. Two adults only please…..unless you specifically discuss with me beforehand. Bring yourselves drinks…… and snacks if you wish. It does get very warm and a drink for yourself may be necessary. Wear clothes appropriate for being in a VERY warm room for 2 hours. Dress in layers so that you can take clothes off.…….as baby will have no clothes on so the room needs to be warm enough for that. Don’t forget any props you wish to bring like baby’s personal soft toys, blankets or bunting etc This would also include any specific scene props you have decided on like guitars, motorbike helmets, Football Team shirts etc. 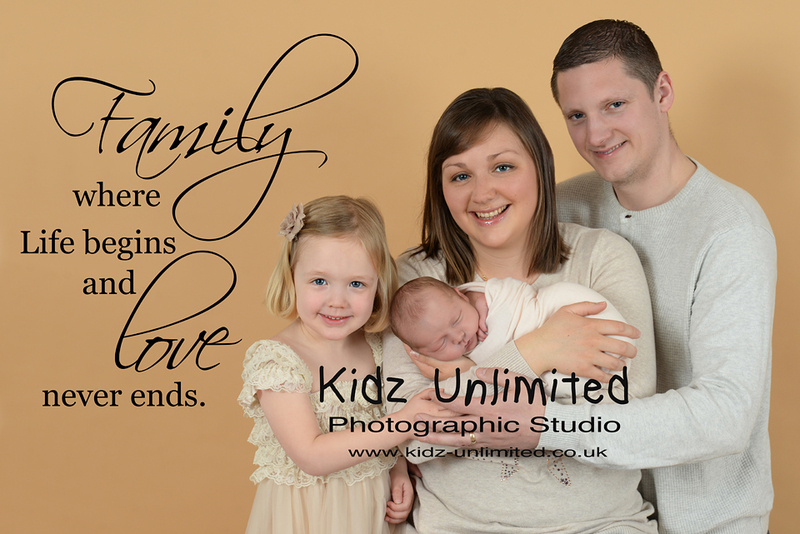 If you are having Parent and Baby Poses, I usually do these shots on a Black Background. You would need to bring/wear black trousers and tops for this. I do though have Men’s plain T-shirts with no logos for your partner…… Or, he may want to consider photos with no shirt? 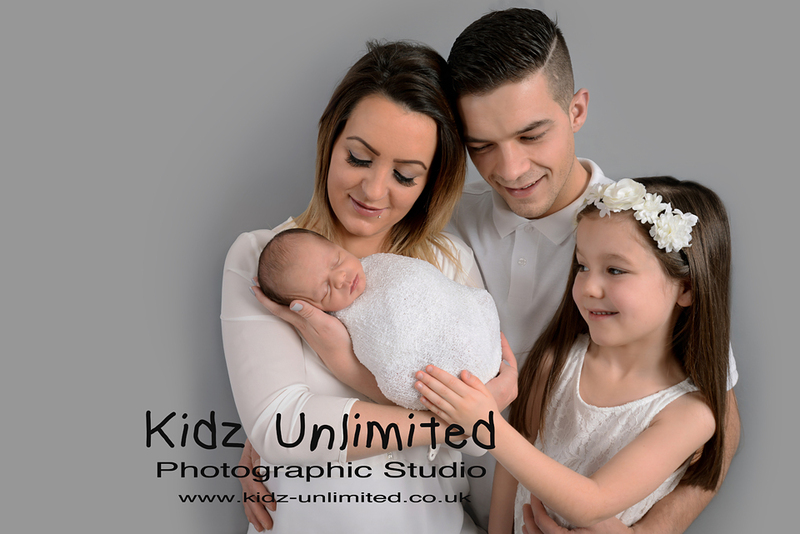 Skin to skin photos with baby do look lovely. I do have some other background options if you would prefer and can also use a Grey, Cream Or Caramel/Beige background. You would need to provide clothing suitable. Please discuss with me if you prefer one of these choices. I can assist you with colour choice options for clothing and send you examples of these colour backgrounds to assist with your choice. Please discuss your clothing options and style with me beforehand. Also an important point to note here is that I will be photographing your hands holding baby, so please have a look at them before the shoot. Clean finger nails and no chipped nail varnish make a better photo. If you are bringing siblings along to the shoot, please prepare them for the fact that they will be changing into other clothes and try to talk to them about what will happen in the shoot. This is especially important for toddlers and makes the experience easier for them. Bribes and treats to achieve co-operation for a sibling are encouraged! You may also want to bring along a toy or book for the sibling to keep them entertained while I settle baby. All siblings will need to leave the studio after their photos have been take with baby, so please have someone ready to take them away. 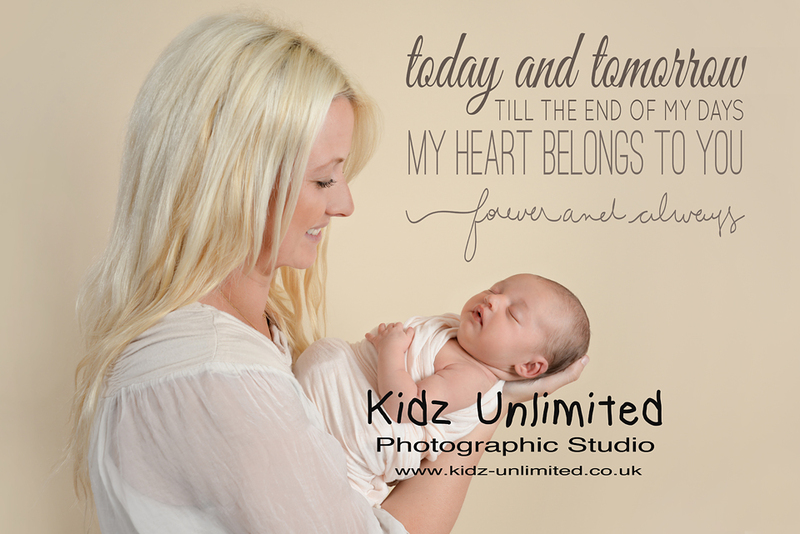 The Basic Newborn Shoot takes 2 hours and the Premier Newborn Shoot takes 3-4 hours. This is time for you to sit and relax while you watch me work. Feel free to bring along a book or something to do yourself if you wish.